If you’re a keen follower of our Instagram account, then you’ll know that we are massive fans of J.Crew’s continual work with New Balance. In our opinion, there really is no-one out there that is doing New Balance collaborations better than them, and I’m sure many of you will agree. Whether it’s a 1400 or a 998, J.Crew have it absolutely nailed. For their latest collaboration, we see them revisit the 998, and we present to you the New Balance 998 x J.Crew “Nighthawk”. The name “Nighthawk” gives off very stealthy vibes, and the colourway and materials used on this pair are definitely fitting. We see a lush suede and mesh upper dressed in black, complimented by a few shades of grey and pops of blue throughout. 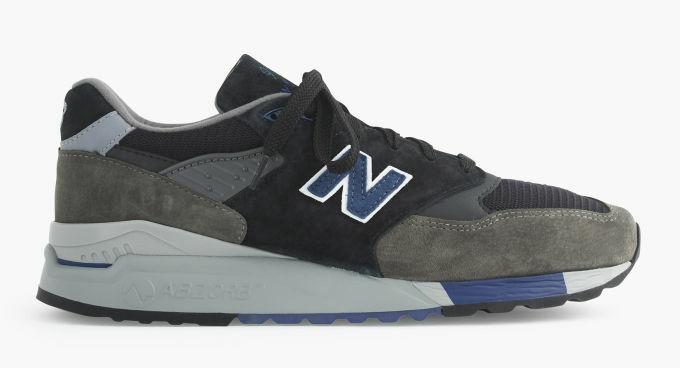 The New Balance x J.Crew 998 “Nighthawk” has already released and is available via the J.Crew site here.